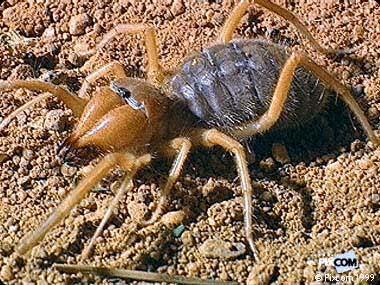 This is a solifugae or Camel Spider, which aren’t spiders but are in the arachnid class. Hi, looks like Eremobates species, same thing we have in southern Nevada. Female BTW, might be gravid.